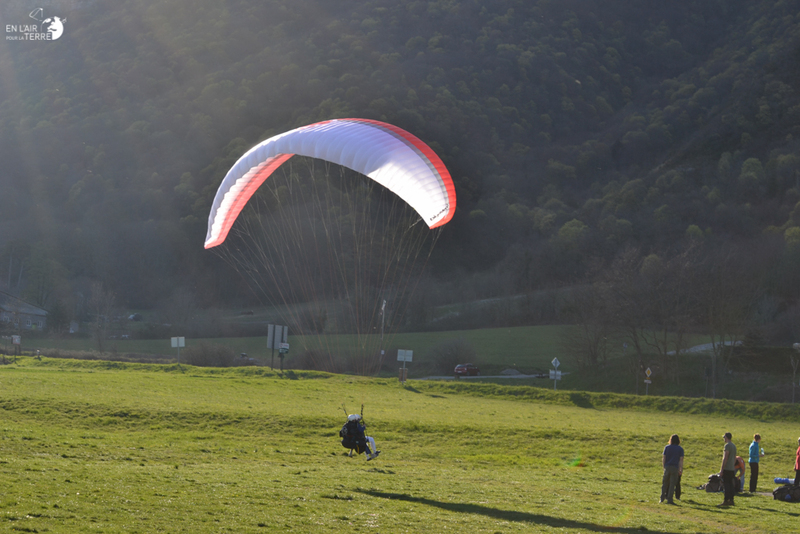 And here is the page on which we'll share everything in relation to our passion for hang-gliding and paragliding! And for that, what's better than two video. 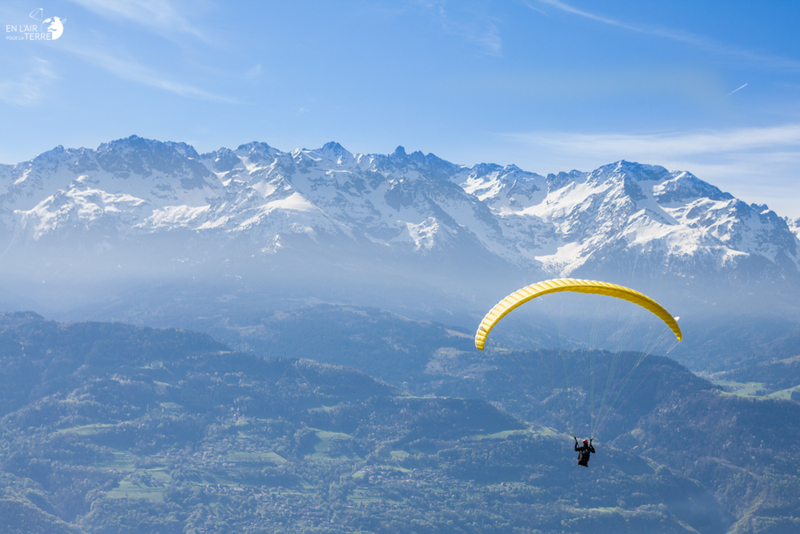 One with the flight in the two-seater and the discovery of incredible sensations, and the other for a flight with beautiful landscapes! 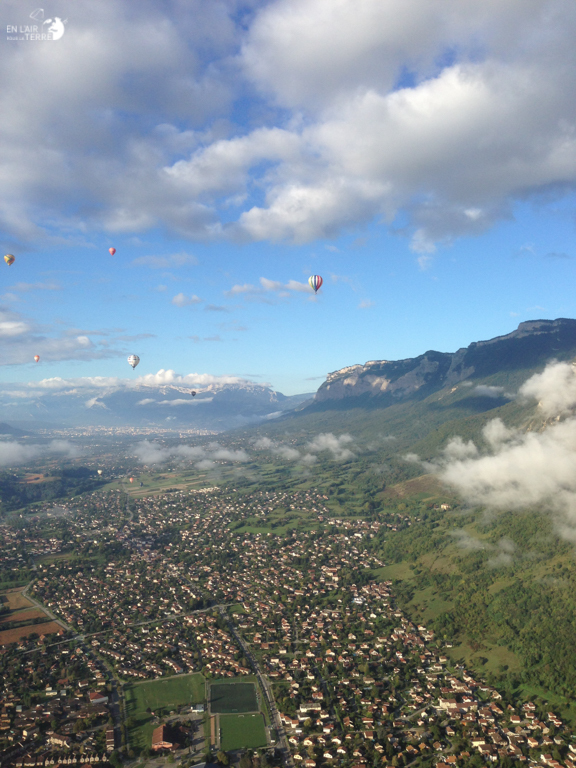 More than 16 countries overflown in tandem in 2 months, stunning landscapes! 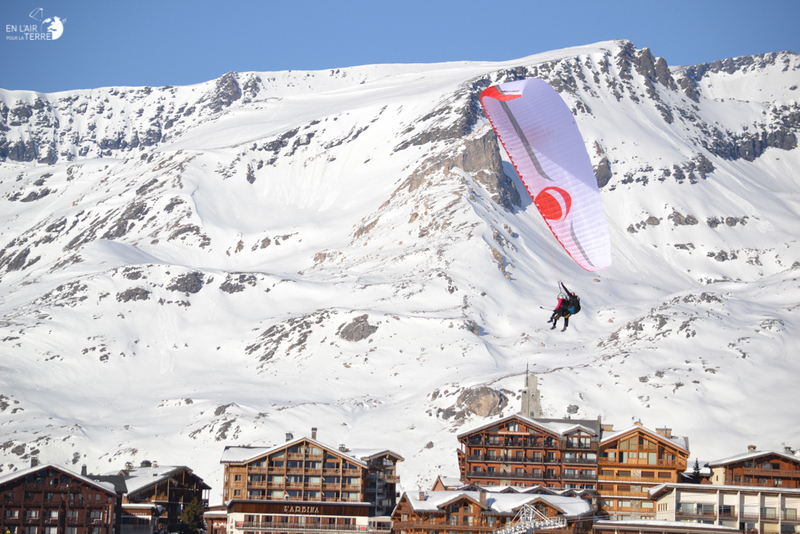 The take-off to landing, thrills and amazing scenery! 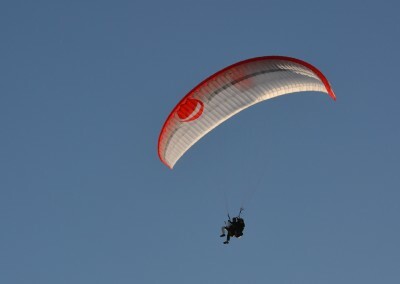 It is possible to fly long and far in paragliding! 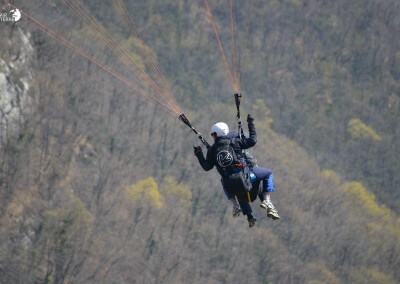 We wanted to fly since small like birds. 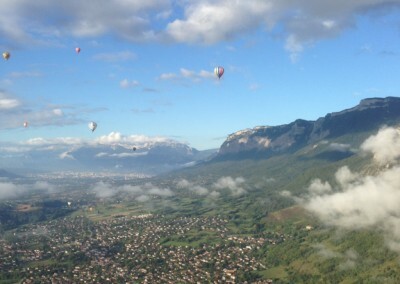 That's why we first took classes of aircraft at the aerodrome to the Washington next to Grenoble. It was a great feeling but being inside a passenger compartment and the engine sound particularly bothered us. Then we had the chance to fly in Alphajet, Mirage 2000 and other military aircraft. It is a great feeling but again, as we are inside a cabin and we have a lot of noise, there is still this feeling of flying like a bird. 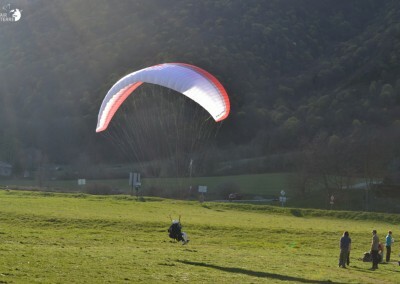 Then came the turn of the glider in the massif of the Alpilles with a week of wonderful flight in soaring through the Mistral (wind from the North in the South of the France). More noise the engine and only the force of the wind to keep us in the air, really great. But then again we were "locked" in a cockpit. 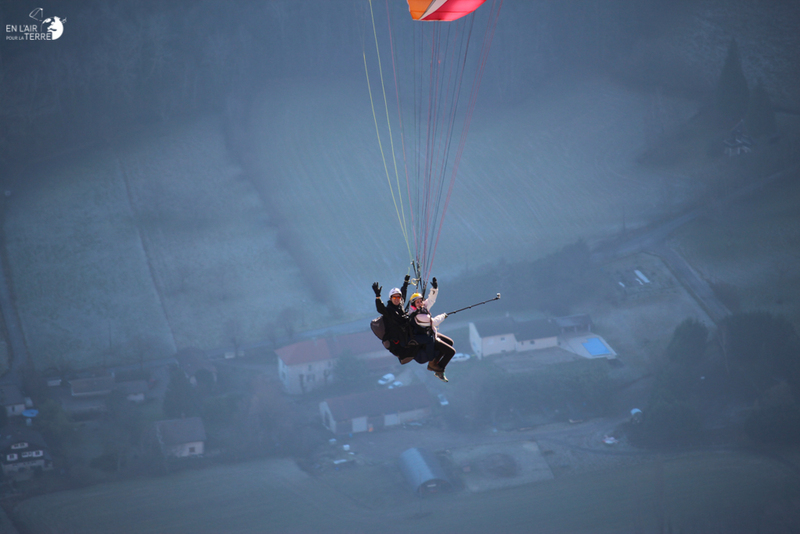 So we did an internship of paragliding to St. Hilaire of the United and there, it was THE revelation! 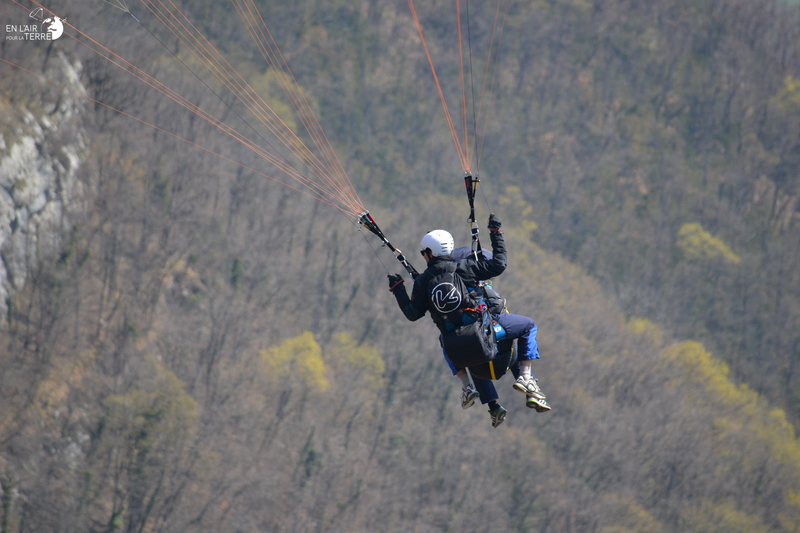 Fly like a bird, sitting in a Chair, as close to the relief, without a sound, and with hardware that fits in a backpack back and weighs 10 kg in total: the dream become reality! 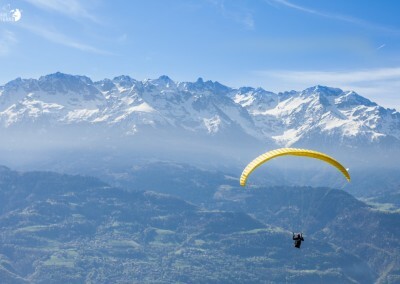 After discovering the paragliding, you prefer more of one thing: redo paragliding. 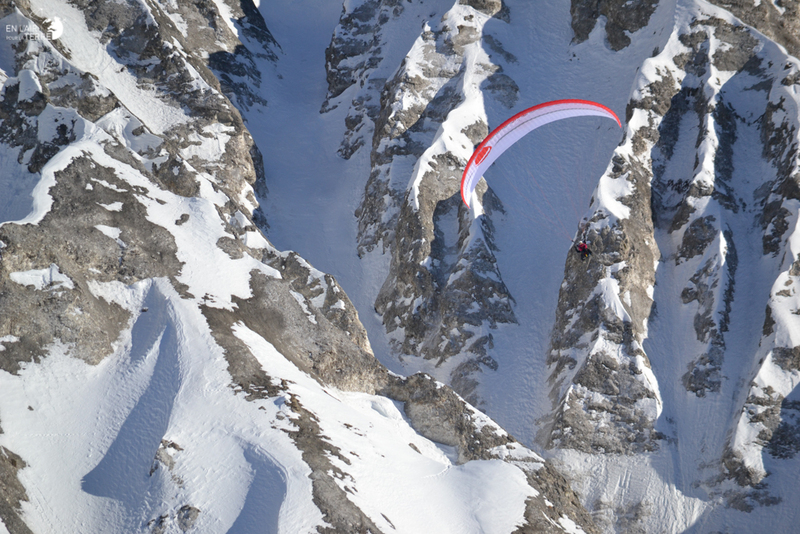 Thanks to this activity, we discover a new vision of our land and again we discover the landscapes that surround us, but this time in flight from above. It is also how the energy provided by nature can be used to make up to 300 km without engine for the more experienced.